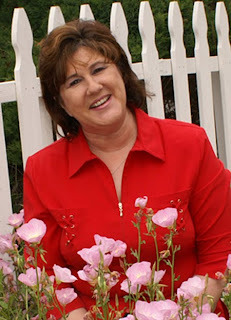 Joining us today is Christian author Delia Latham. A former newsppaer staff writer, her first book, Goldeneyes, was released in 2008 by Vinspire Publishing. 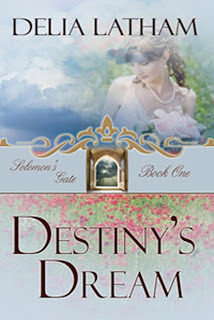 In 2010, White Rose Publishing released Yesterday’s Promise and Destiny's Dream, Book One of the Solomon’s Gate series. We'll talk to Delia about her work, her inspiration, and what she's working on next. Welcome to The Book Connection, Delia. Can you tell us a bit about yourself? I grew up in Weedpatch, a tiny agricultural community near Bakersfield, in California’s San Joaquin Valley. My husband Johnny and I recently transplanted to Okmulgee County, Oklahoma. I am a Christian wife, mother, grandmother, sister, and friend. While I consider each of these roles important ones, I treasure most of all my role as a child of the King and an heir to the throne. I promised myself a novel for years, while raising my four children, working at various jobs and writing the occasional article, poem, or song. Vinspire Publishing released Goldeneyes in 2008. A Christian historical romance with a touch of the divine, Goldeneyes is set in the farm country of my childhood. 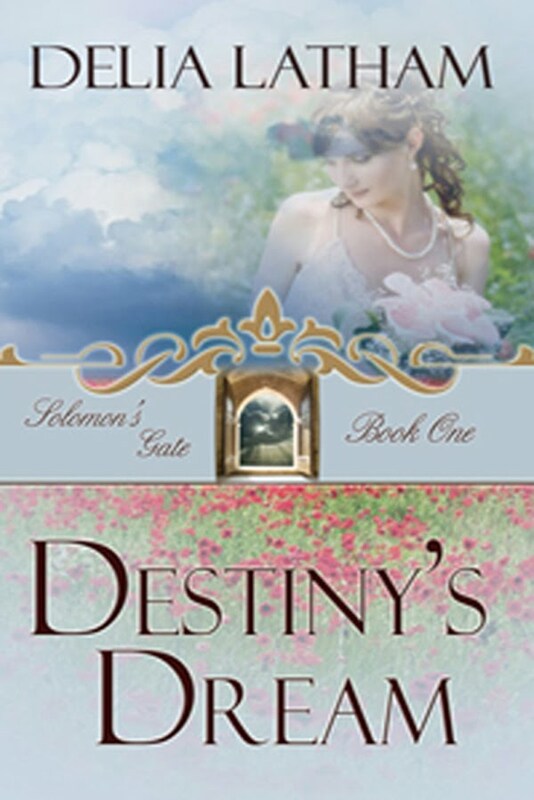 In 2010, White Rose Publishing released Yesterday’s Promise (ebook) and Destiny’s Dream, Book One in the Solomon’s Gate series. Kylie’s Kiss and Gypsy’s Game will follow in 2011, along with a children’s picture book, Mine! I truly don’t remember a time when I wasn’t writing something. Even as a child, I always loved words—and devoured them, reading anything I could get my hands on, including the dictionary and the backs of cleaning product containers.  But I seriously knew I wanted to be a writer after winning a third-grade essay contest. That little victory did something magical in my young mind. I could rarely be found without a notebook and pen (and/or a book) after that time. I write whenever and wherever I can find time, but I’m most comfortable—and, I think, most productive—late at night and in the wee hours, when the rest of the world is asleep. I’m not one of those people who can write with distractions (including music), so it’s simply to my benefit to work when the phones aren’t ringing, no one’s knocking on the door, my sweet grandchildren aren’t pitty-pattering in and out of the house, and my (very supportive) hubby isn’t popping in and out with comments, questions, and ideas about going somewhere. Is a little respect too much to ask at the funeral of a beloved parent? Apparently it is for Destiny May. Her mother’s “going away party” is crashed by an unfamiliar and totally irreverent guest. Difficult to ignore, Clay Gallagher is built like a small mountain and far more vocal than is fitting for the occasion. When it turns out the annoying stranger is not even at the right funeral, Destiny demands retribution in the form of an escape from the day’s dreary proceedings. From the beginning, their relationship has some kinks – starting with Destiny’s determination to found a Christian dating service in their conservative town of Castle Creek. A highly esteemed investment broker, Clay has little respect or patience for such a frivolous profession. But when Destiny is threatened by an anonymous caller who deeply resents her and what she does for a living, Clay makes it his business to keep the saucy redhead out of harm’s way. Trouble is, spending time in her company weakens his defenses … and Cupid’s arrows are known to fly straight to the heart. Over a decade ago, I read A Match Made in Heaven by Shari MacDonald. I loved the premise of a young woman operating a dating agency—I guess at that time it hadn’t become quite such a trend as it has since. In particular, I loved the idea of a Christian matchmaking service. The idea stayed with me through the years. I mulled it over while doing dishes and making beds; chomped on it when I was alone in my car on quiet stretches of road; worked on a scene or two while vaccuuming floors and cleaning toilets. (I often made mention in interviews that I was working on a book based around a Christian dating agency, and I was—but only in my mind.) One morning, I woke up and it was as if God poked His finger at my chest and said, “It’s time, girl! Do it!” Well, what’s a girl to do under those circumstance? I did it. By that time, it had become more than just a book…it had turned into a series, and I have truly enjoyed writing it. I’m incredibly blessed to have a number of staunch supporters. My children are proud of me, although I’m not sure exactly why… lol Hubby is amazing—he’s the cook in our house, so I don’t have to worry about planning and preparing meals. Plus, he sees to my well-being by placing vitamins and liquids in my hands and giving me the command to swallow when I’m so caught up in a story that the real world becomes a bit hazy. My aunt markets for me all the time in the good, old-fashioned word-of-mouth way…she’s sold a lot of my books by talking about them. And I have a wonderful friend whom I “met” when she reviewed Goldeneyes through an online review site. She loved it, and still maintains that Goldeneyes is her all-time favorite book, ever. I’m so very grateful to have an amazing support system. I’m not a member of a critique group, per se, but I do have a few individual critique partners whose opinions I value. A couple of them are authors themselves, and I have one treasure of a reader who is also a transcriptionist/word processor, and possesses a keen eye for editing. She reads my work and tells me about anything that slows her down, doesn’t flow smoothly, or jars her out of the storyline. She’s also great about picking up on those uncooperative characters (ha) who like to change eye color, hair color, name…whatever…from chapter to chapter. She’s a jewel, as are all of my wonderful writing pals. I wouldn’t even think of sending in a manuscript without their input. I have too many favorites to even begin mentioning them! It might surprise readers to know that, in spite of my love for inspirational romance, my all-time favorite books were written by Stephen King (The Stand)and Robert R. McCammon (Swan Song). Neither of these books could in any way be considered “inspirational,” and yet they’re amazing, epic tales of good vs. evil. The Stand is my favorite book of all time. Seems we share something in common. I’m looking, I’m looking! Do you have one stashed way somewhere? Destiny’s Dream can be purchased through White Rose Publishing, as well as on Amazon , Christian Book Distributors, and a number of other online booksellers. Write, write, write. It’s so important to make writing a habit. I suggest finding a space you can call your own—whether it’s a confiscated walk-in closet, the end of a dining room table, a corner of your bedroom, or a fully equipped office with a view. The important thing is to have that space and go to it every day, preferably at the same time every day, and do what writer’s do…WRITE. It’s also important to never, NEVER give up! You will get rejections. You will almost certainly receive a review or two that hurts so badly you can’t help crying. You will think, at times, that you’ll never see your name in print. And if you give up, you won’t—you can count on it. Thank you so much, Cheryl, for inviting me to your blog! I’ve enjoyed chatting with you, and hope your readers find something in our interview that makes them smile, encourages, inspires, and brings a ray of sunshine into their day. Thanks for spending time with us today, Delia. We wish you continued success. Another great interview. I'm so happy to get to know you a little better with each one. You are an amazingly talented writer...a real treasure. Please keep the books coming! Great interview. If it's the Lords will, I hope you find an agent soon! You ladies beat me to the draw this morning! :) What a pleasure to actually find comments waiting! Thank you, Mary. I always enjoy learning a bit more about my fellow writers, as well. And JoAnn...perhaps the difference is that I'm an empty-nester. If I had young children to deal with during the day...and if my husband didn't take the culinary load off my shoulders...IF, IF, IF...I'd probably be too fried to write at night, too. Cheryl, thanks again for having me! I look forward to chatting with your readers today. More golden nuggets to learn about my friend, Delia! :-) I'm LOVING Destiny's Dream, btw!!! God bless your efforts, and the call He puts on your heart with regard to your writing, and its progression. Blessings to you! How nice to see everyone stopping by today. It's great to have you here. Delia, I don't think it's an empty nest thing, because I write at night and my girls are 7 and 9. I think God gives us a creative time and that's when things flow best for us. Wishing you and everyone at White Rose a blessed weekend. Hi, Marianne! I'm not sure there are any gold nuggets left to pan for! My life has pretty much been delivered to the public on a silver platter during this tour - but I've enjoyed the interviews and chats, and I hope all of you have, as well. Faery's Bargain by Madeline Drake Winner! New Releases from MuseItUp Publishing! Seasonal Reading from MuseItUp Publishing!